Raúl Milián was born in Havana, in 1914. He was an autodidact. 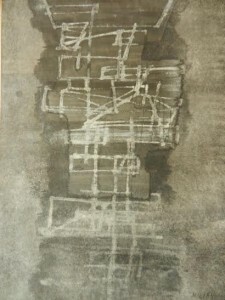 His work has appeared in biennials of Venetia and Sao Paulo, as well as at the University of Vermont (1953), University of Havana (1955), and Toronto (1956). He has traveled through all Europe and EEUU. 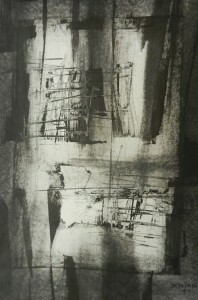 His paintings can be seen at private permanent collections from the following museums: Museo Nacional de Bellas Artes, Havana; Museo de Arte Moderno, Sao Paulo; Museo de Arte Moderno, Rio de Janeiro; Museo de Bellas Artes, Buenos Aires; Museum of Modern Arts, New York; National Gallery of Canada, Ottawa; of Fine Arts, Houston, and many more. Well educated and passionate, Milian started painting in 1952 and never worked with oils. Exploring qualities of water based inks, he has provoked unforgettable moments for those who contemplate his works. His paintings reflect the internal struggle of a man with extreme sensibility in a world torn with violence.